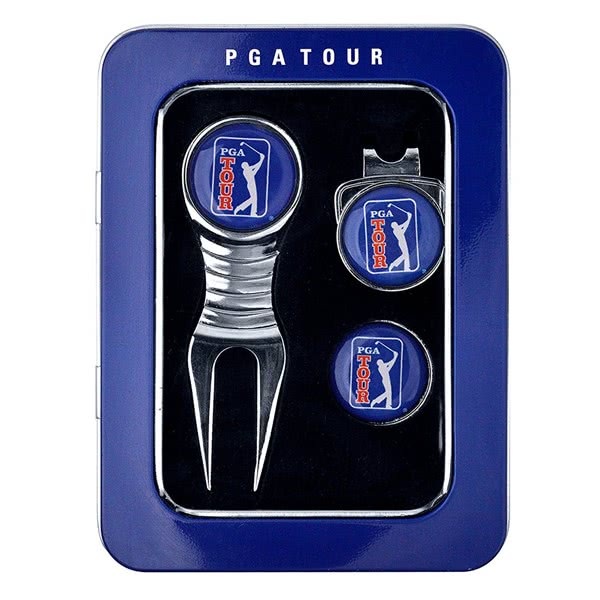 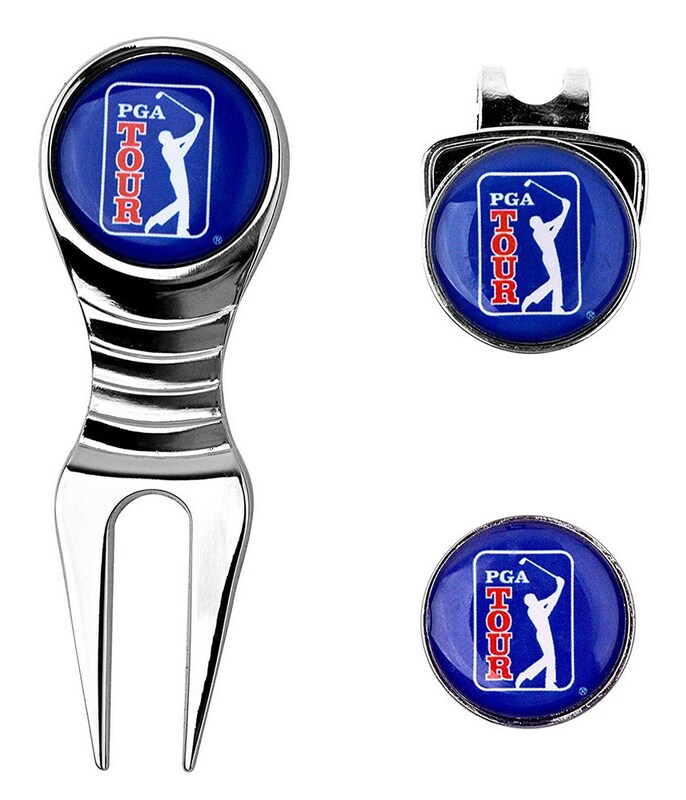 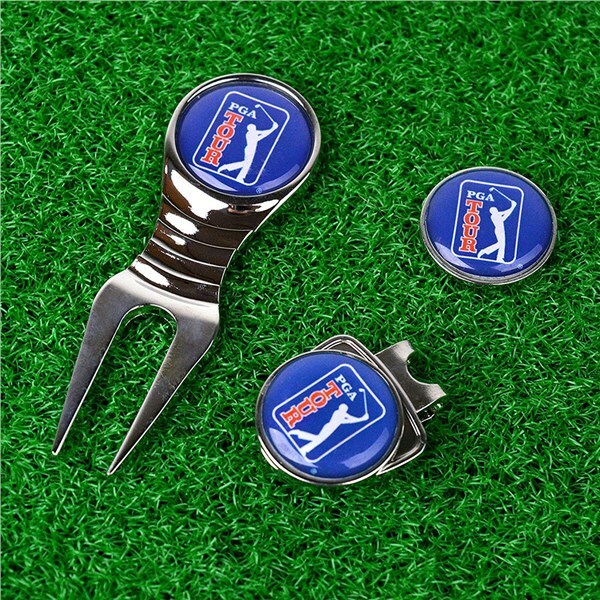 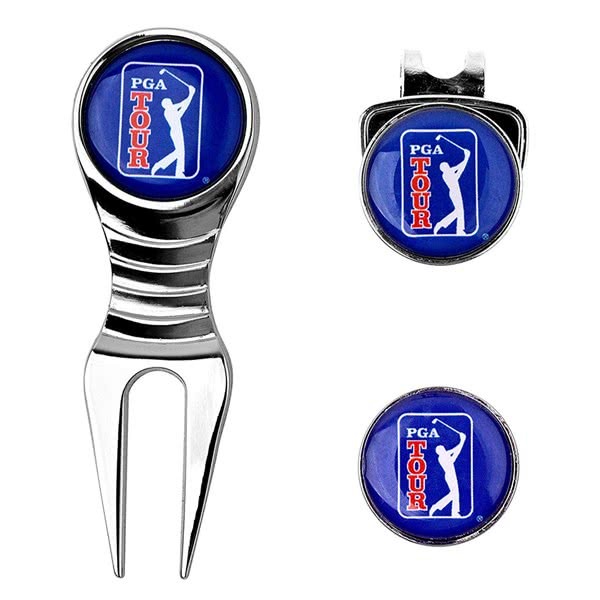 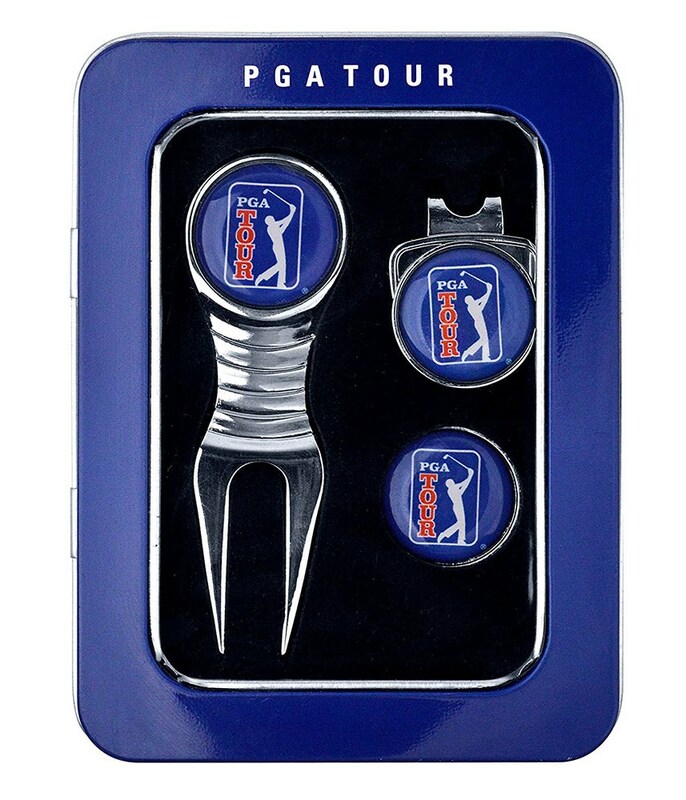 The PGA Tour Divot Tool Set has been put together to ensure that you have the necessary accessories within arms reach while out on the course. 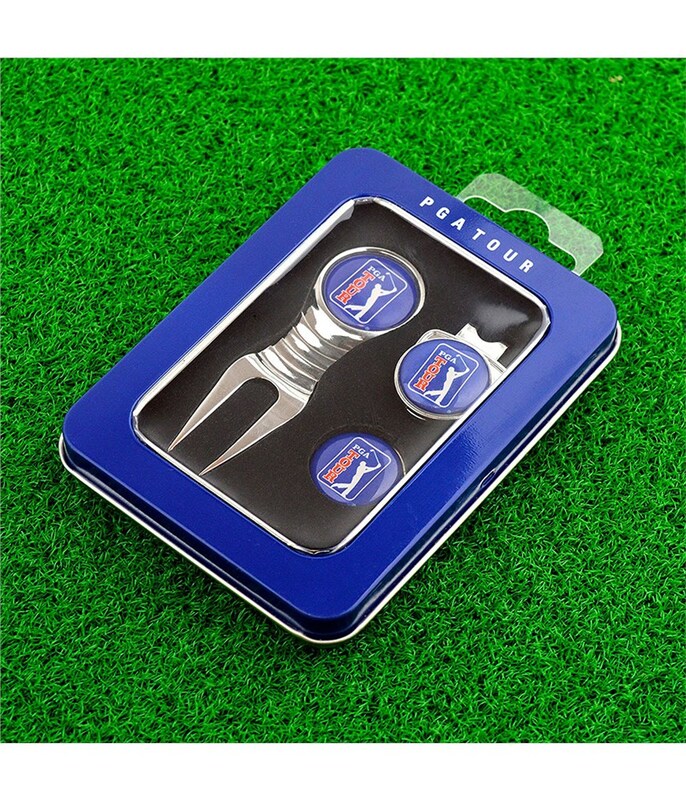 Divot Tool - An ergonomically shaped that will allow you to lift and repair pitch marks on the green with minimal hassle. 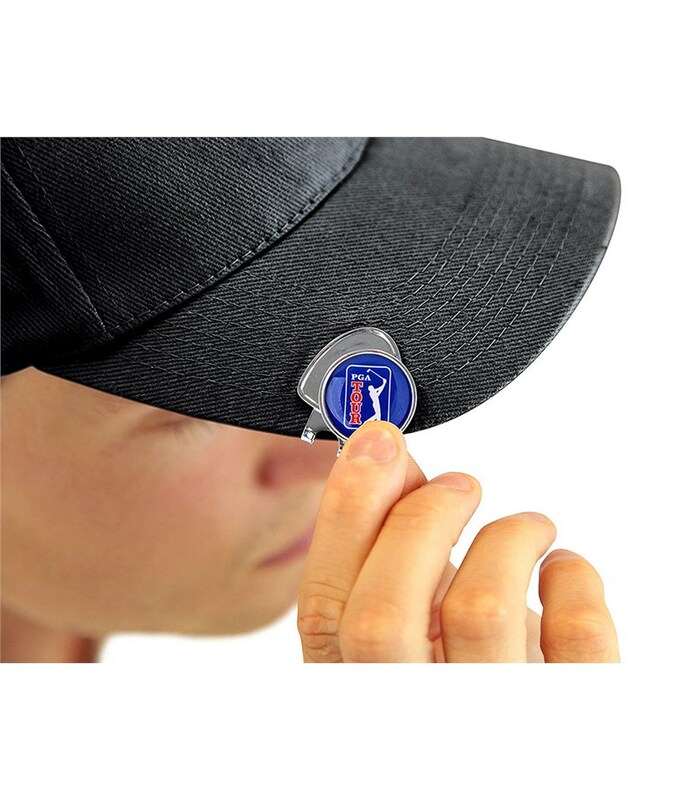 The shape and size of the tool will easily fit into any pocket. 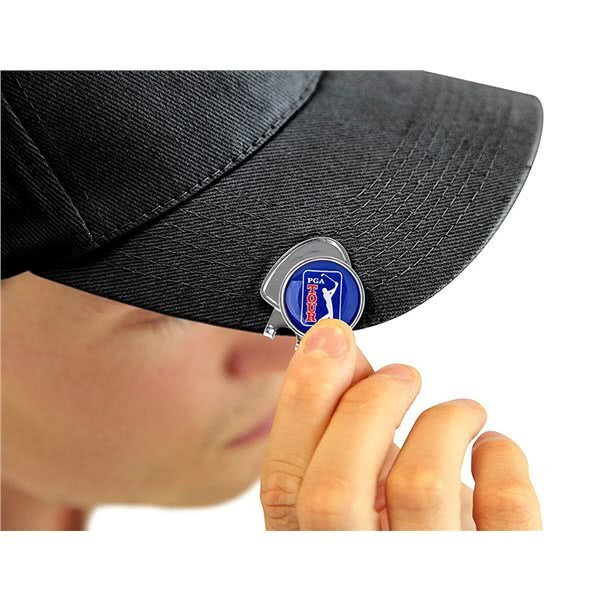 Cap Clip - This is the perfect accessory if you wear a cap or visor. 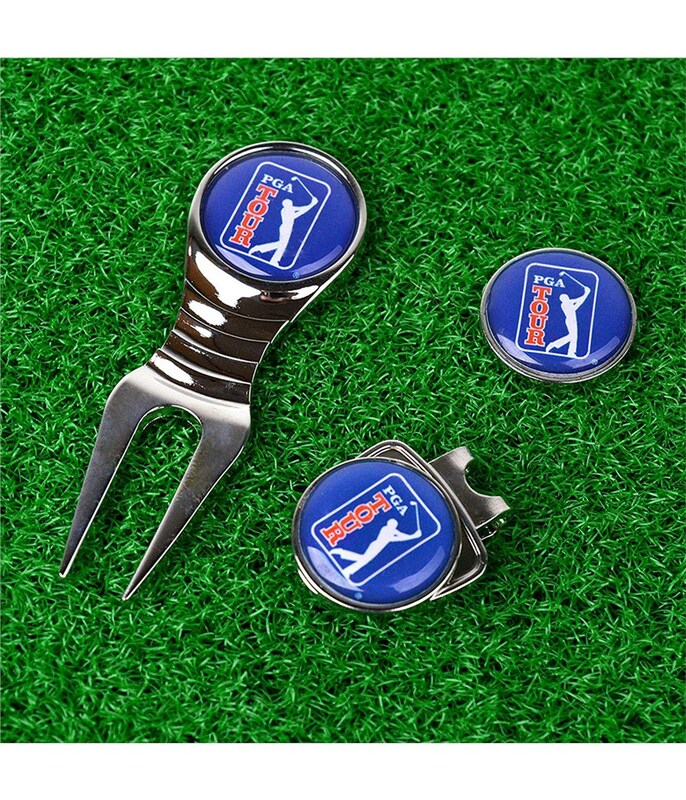 Any metallic marker will fit and will prevent you having to carry coins around in your pocket..
Ball Markers ( x 2) - PGA branded markers are the ideal way to mark your golf ball on the green. 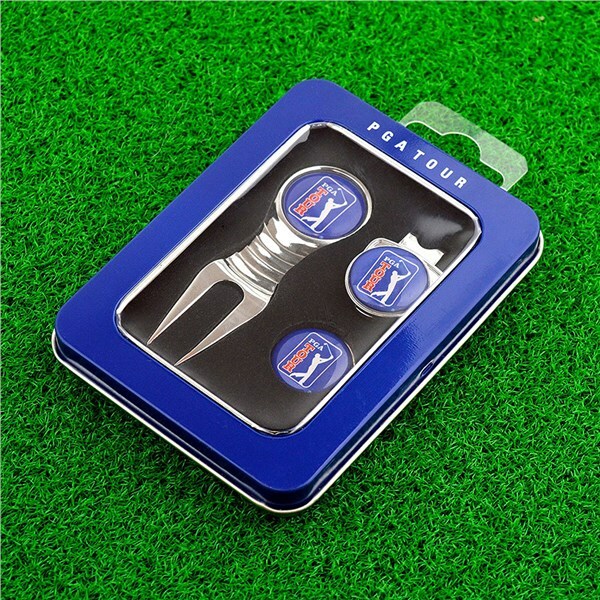 All of the above comes in a stylish presentation box that makes the ideal present for all golfers.